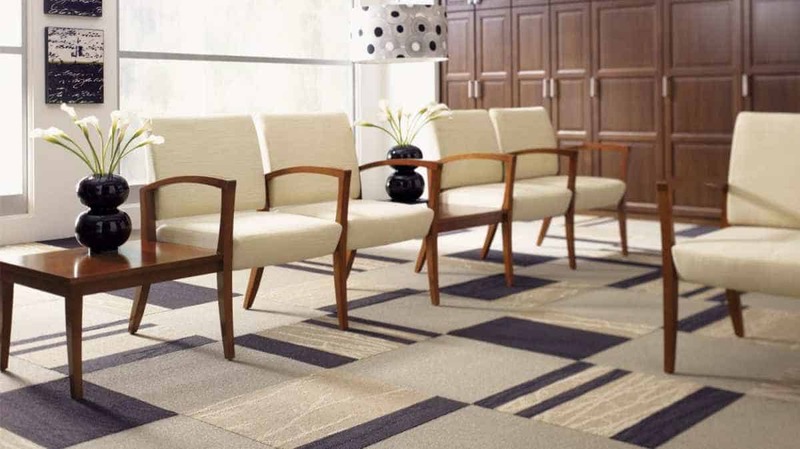 Furniture is a basic investment for any healthcare facility. Balancing the needs of patients and professionals with aesthetics, safety issues and budgets require thorough knowledge. Fortunately for northeastern Wisconsin, Systems Furniture’s healthcare furniture and design experts have a wealth of product knowledge to share. For healthcare professionals — Ergonomic furniture allows office staff to adjust their furniture to their requirements and when staff members can feel comfortable at work, they are healthier too. Chairs like SitOnIt’s Torsa chair offer back support. Knoll’s adjustable monitor arms provide support for computer work. Height-adjustable work surfaces from Workrite give employees options to work seated or raise the surface to a standing height. For patients in the waiting room — Even the shortest stay in the waiting room has an impact on patients. Systems Furniture’s interior designers create a welcoming environment when specifying paint colors, artwork, privacy curtains and signage. In addition, our designers focus on textiles for chairs that are hard wearing and meet hospital standards for cleanability. We keep issues of infection control, air quality and even the effects of sunlight fading at the forefront when choosing fabrics for seating. 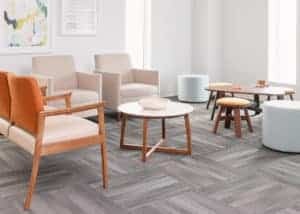 Systems Furniture’s account managers zero in on the needs of patients when recommending healthcare furniture for waiting rooms. The Voyage chair line from Carolina looks beautiful and because it has sturdy arms it makes it easier for people to reach a standing position. Arcadia’s Haven Bariatric settee is built with a strong wood or metal frame and has a 750 pound maximum seat capacity. For the clinical space — Specialized healthcare furniture is part of Systems Furniture’s portfolio.Chairs with a higher seat, like the Ideon hip chair are made for clients recovering from hip replacement surgery. Patient comfort is the first reason to choose recliners and mobile healthcare chairs from La-Z-Boy or Carolina. Whether you are looking for furniture for a new health care facility or commercial outdoor furniture for a healing garden site, call us at 920-336-1510. 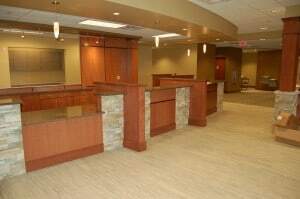 Systems Furniture’s teams work with medical facility departments throughout northeastern Wisconsin including Fond du Lac, Sheboygan, Appleton and Green Bay. View original article on healthcare furniture here.